Once it was decided to accept General Luis Alexandre´s enthusiasm of sighting the Bust of Admiral Collingwood on the Isla del Rey our idea of developing a garden surround started to evolve. What better feature and attraction for visitors but to see the Admiral surrounded by a little of the landscape he loved but saw so little of during his lifetime at sea. 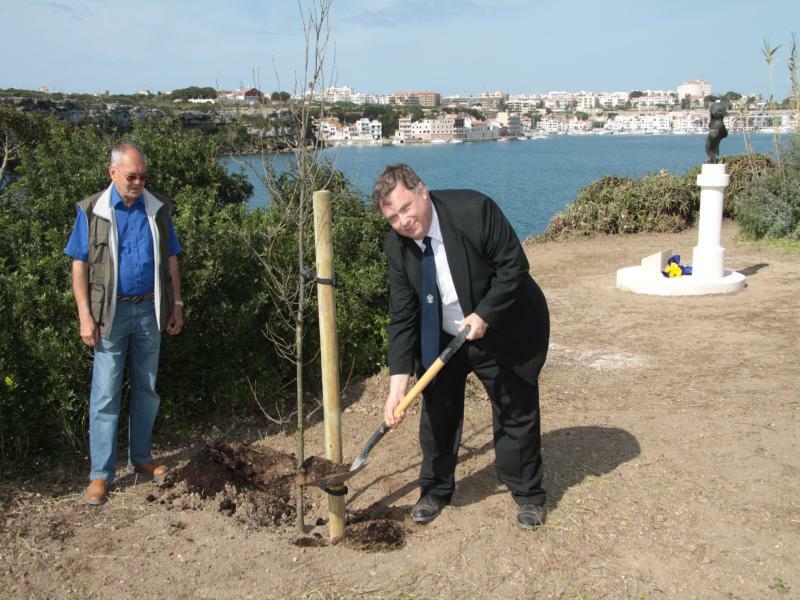 The idea quickly became a reality once Captain Stephen Healy (the Chairman of the Collingwood 2010 Festival in Newcastle) decided this was the place to plant the three young Oak Trees given to the Asociación Menorca Britannia as custodians for the people of Menorca as a gesture of Goodwill and Friendship from the North East of England. 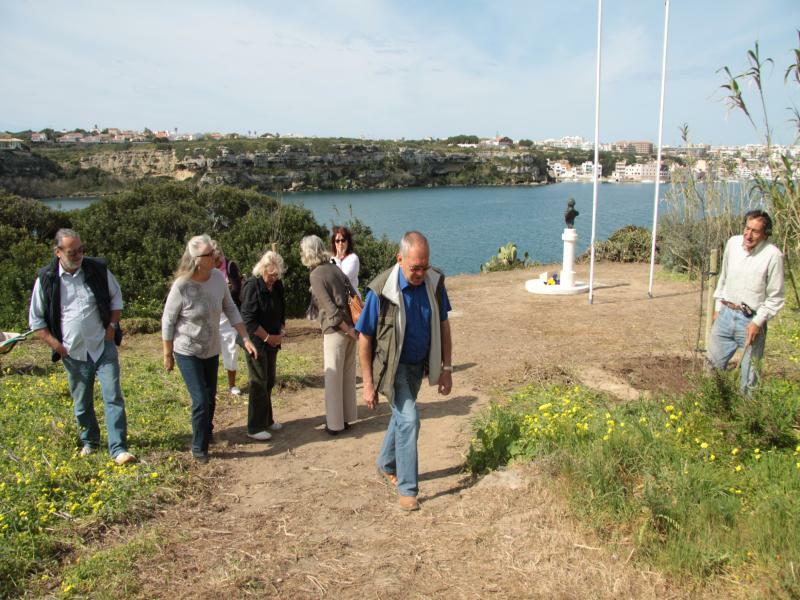 Stephen had, during his week on Menorca, inspected several prospective sites but rejected most because of various perceived environmental problems such as lack of maintenance, possible vandalism and lack of the Collingwood connections. 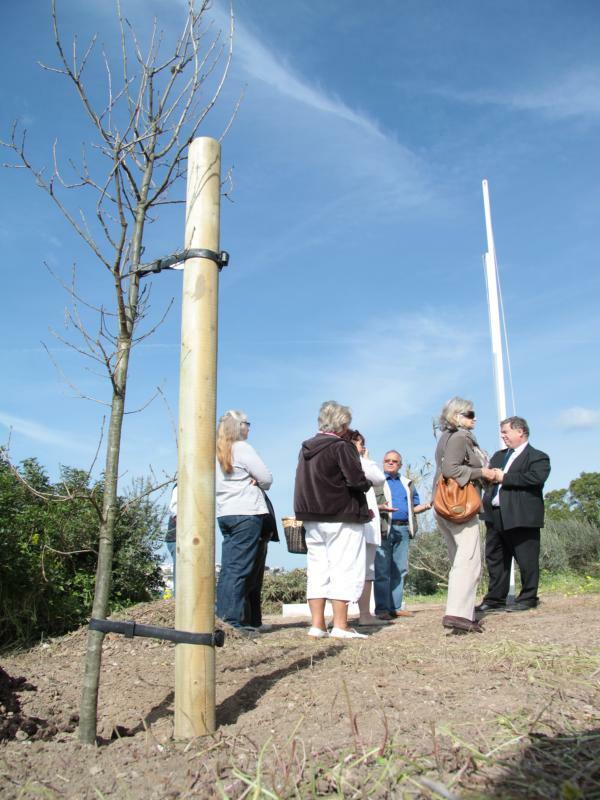 It was also essential that the trees be planted immediately they arrived and whilst he was still here so that photos could be taken and a report be back to the Lord Mayor of Newcastle, Mayor of the Borough of North Tyneside and the Mayor of Morpeth who with Trees Please of Corbridge, Northumberland have donated these and paid for their transport to Menorca. Research with the grower indicated that English Oaks are resistant to salt and the North winds hence so many in Hampshire and Northumberland. They need a regular watering whilst young to establish themselves and when established will find the water they need from deep down. As we know there is plenty of underground water on the islands in the harbour. In fact the position chosen for the garden is reasonably well protected on the north side by the already established natural undergrowth. The garden is planned in a typically British style with shrubs and ground cover which will thrive in the unique conditions of Menorca. We have had enthusiastic response for volunteers to help develop the garden and, more importantly, for its maintainance on a very regular basis. Our members Tony and June Preece have taken on this responsibility but will obviously be pleased to receive some help from time to time. 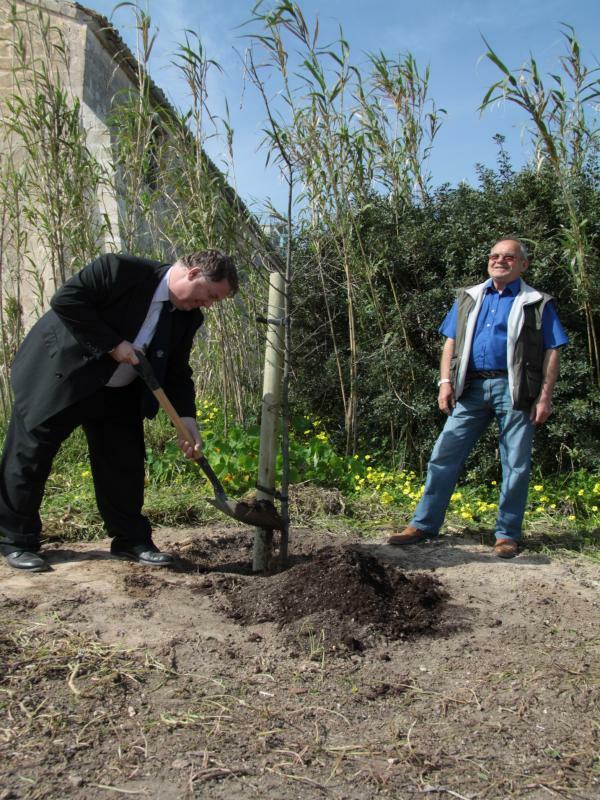 The first objective is to ensure the elimination of weed roots and that the soil is clean, The construction of the path surrounding the plinth and an access path. 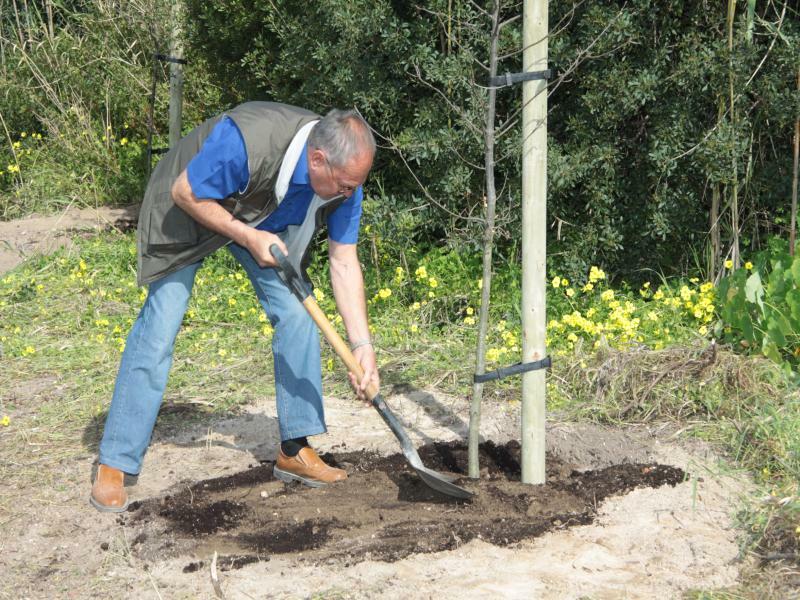 Gradually the planting can be carried out and June´s idea of the beautiful pink grandiflora rose Queen Elizabeth under-planted with blue lavender as ground cover will give a long period of flower to the background. 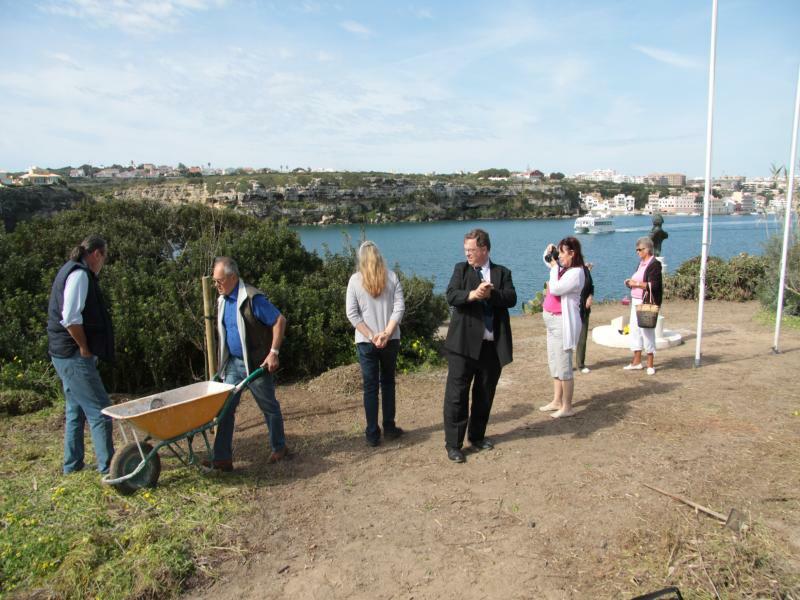 It is proposed that the surrounds will be planted with various flowering and evergreen shrubs and the front sloping towards the sea with low groundcover only. The idea is to complete the project as soon as possible but this can only be accomplished with a certain amount of money. In this respect, if those of you who enjoyed the commemoration events arranged by Menorca Britannia and share our enthusiasm for this project, could give any donation, however small, this will be gratefully received and enable the end result to be achieved without delay. 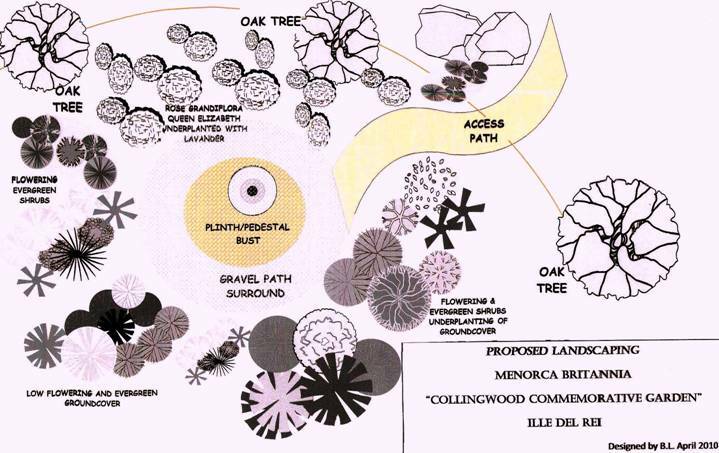 How apt that the saying goes “from little acorns come large oak trees.” We can be contacted on menorcabritannia@msn.com or by telephoning 971366206. 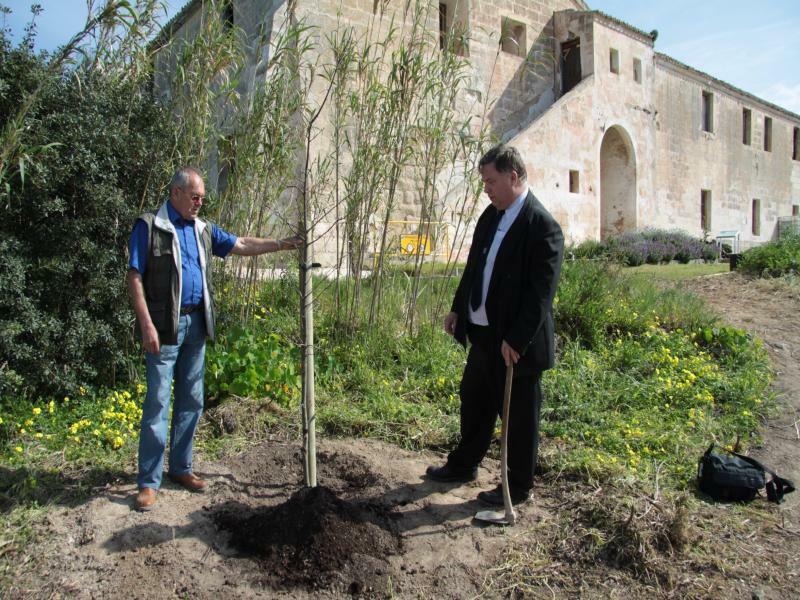 Next year is a big one for Ille del Rei, it being the 300th Anniversary of the hospital, construction being commenced by the British in the year 1711. 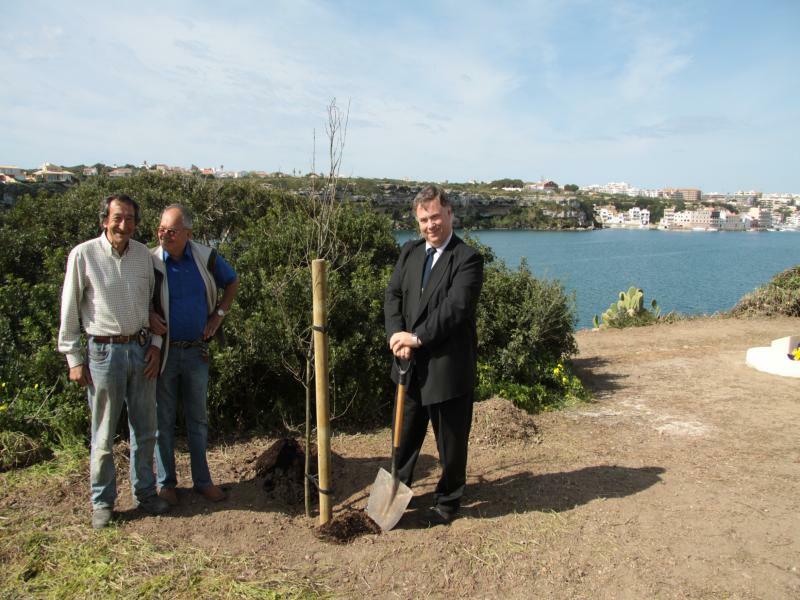 This will, perhaps, become one of the most visited single sites on Menorca and we will make every effort that our garden is established and attractive by that time for the tourists. The design of the all weather notice board is being prepared by Tamsin Lilley, the heritage officer for Morpeth and they wish the following inscription in both Castellano and English together with the coats of arms of the three donating authorities. We would also wish to include a brief life history of Admiral Lord Collingwood at one side.